Offers coverage of design, engineering, chemical resistance, costs, standards, codes and specifications. The text provides a resistance guide that lists over 800 chemicals and nearly 400 trade names cross-referenced to formal chemical names, covering all known chemical resistance data for the most popular thermoplastic piping systems. 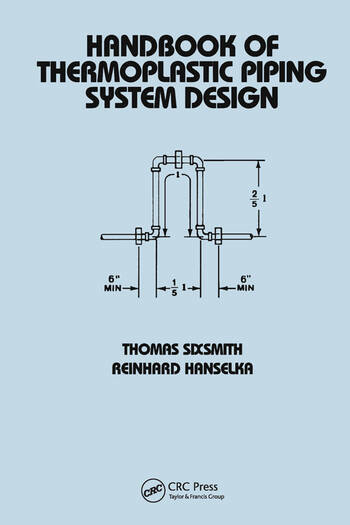 The book covers applications, selection, installation and maintenance. Plastic piping materials; material selection; engineering and design; plastic pipe installation; thermoplastic valves; plastic pipe cost estimations; plastics and fire; standards and codes; plastic pipe specifications; reference data.